A decade ago, it was imperative to establish an online store to attract and retain customers. Fast forward to 2019, brands have to strive to deliver enhanced mobile shopping experiences that can complement their web presence. But why is it essential to have a mobile presence? Regardless of the industry, these stats will provide a lot of food for thought. With m-commerce forecasted to grow to $3.56 trillion by the end of 2021, if a mobile shopping app isn’t something you need today, it will definitely be something you’ll need in the near future. However, if you’re thinking about getting into m-commerce, you have to first decide whether you’re going to make your online store mobile ready or invest in a native shopping app. If you take a step back and look at the bigger picture, it’s not a question of a mobile website or a native shopping app. You have to have both to maintain your grip on the marketplace. If you already have an e-commerce website, you have to jump on the m-commerce wagon because as much as 52% of global internet traffic is generated through a smartphone. Furthermore, over 80% of mobile minutes are spent in apps. This is one of the reasons why Germany’s largest baby products store windeln.de reached out to us to build a fully-functional mobile app version of their online store. To ensure that you’re not wasting your time or money, it’s vital to first analyze the market to identify any gaps that can be filled by your shopping app. You can do this by studying your competitors’ offering and your target audience. Once you know what you want, you can start ideating and strategizing the functionality, monetization strategy, and marketing. At this juncture, you can start working on the user interface (UI) design and the wireframes. The look and feel of the app will play a critical role in keeping your customers engaged. So it will be essential to do your research and use colors to enhance user experiences. 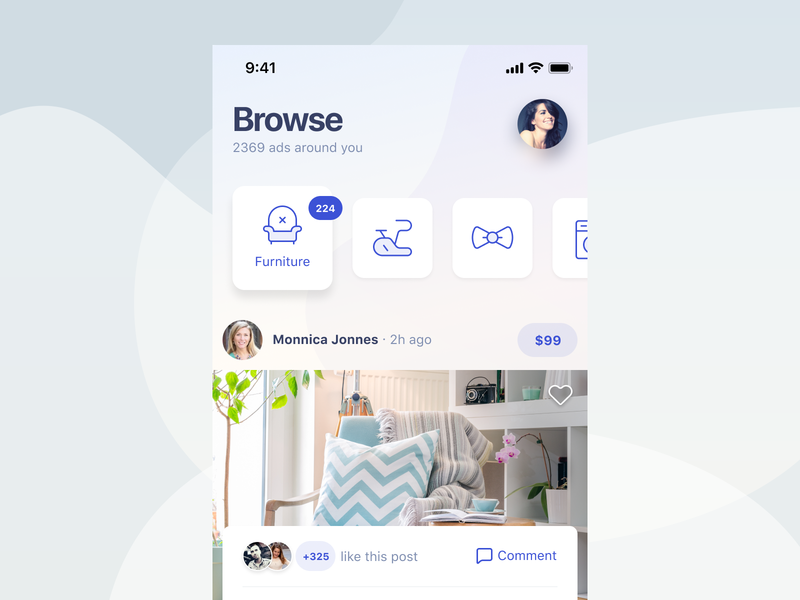 You can read more about UI design HERE. Next, you have to formulate a budget and timeline to build the MVP. If your in-house team has never developed a shopping app before, it’ll serve you well to consult some seasoned professionals. If your budget allows it, you can take it a step further and hire an established third-party partner to work alongside your in-house team to build the app and integrate it with your online store. Shopping apps can be based on Android, iOS, Hybrid, or all three. Your market research and resources will dictate what’s best for your business. This might sound like a no-brainer, but it’s still important to point out that you shouldn’t force your users to register immediately. If you do, it can quickly lead to app abandonment. Let’s face it, no one likes to be forced to do anything so it will serve you better to avoid an aggressive approach altogether. Instead, it’s best to allow users to browse through the app and only request them to create an account when they’re ready to make a purchase. At this juncture, you can also give them the option of using a social login like Facebook or Google to speed up the whole process. Most major retailers (such as Mango and ZARA) don’t have this option, so this can be something that sets you apart from the competition. Right from the planning stage, it will be critical to think about how people will browse through products and quickly find what they are looking for. So make sure that the in-app search function has all the appropriate filters to display user queries in seconds. If you have the resources, it might also be a great idea to add an image search feature where users can upload images of what they are searching for. Whenever an item is not in stock, make it easy for users to add it to their wishlist. It will be important to remember what users search for because it will create an opportunity to send them push notifications whenever the product is available (again). If you also have brick and mortar stores spread across the country, you can track their location and give them the option of walking right into the store. As we race towards 2020, it will be excellent if your shopping app is AR ready. This means that (if you have the resources) you should allow your customers to preview products in 3D and AR. For example, Amazon is developing a fashion app that can potentially revolutionize clothes shopping. The idea here is to use the app to try out virtual clothes on a mannequin created from the user’s social media photographs. This has the potential to eliminate visits to shops and changing rooms as this augmented virtual changing room will have images of customers that boast their correct proportions. However, if it’s too much to take on while you’re building an MVP, you can add this feature later during an update cycle. Have you ever abandoned a shopping cart? If so, do you remember why? If you’re anything like me, you probably changed your mind because of a complicated checkout process or high shipping fees. So as a rule, try to keep this as simple as possible. Don’t make your users navigate through multiple screens or have them click on several buttons just to purchase something from you. Your customers should also have several payment methods (like Visa, Mastercard, and Paypal) to choose from, and these should be processed quickly. As a result, it’s critical that you always use a reliable payment gateway from a reputable financial institution. The processing of financial transactions needs to be consistently secure to keep your brand name out of the headlines. So it will be crucial to go forward with an established third-party provider. Payment gateway providers have different rates, policies, and technical capabilities. If you’re not sure about how it works, consult a specialist. For customer support, you can now enhance user experiences by adding chatbots to your mobile store. Machine learning has come a long way so you can bet that chatbots are getting better every day. For example, chatbots can now engage with customers in several languages. This helps businesses save time and money in the long-term. Bots also help take some of the pressure off of customer services teams. To enable real-time communication between your company, support team, and bots, you can use tools like Fabric.io and Socket.io. As you can see from the above, building shopping apps take a lot of time and effort. However, for a lot of businesses, it will be critical to remaining relevant. Looking for a reliable partner to build your mobile shopping app? Reach out to our experts and get a free estimate now! Andrew is our IT storyteller and copywriter. His current undertaking is big data analytics and CSS as well as digital design and branding. He is a contributor to various publications with a focus on new technology and marketing.